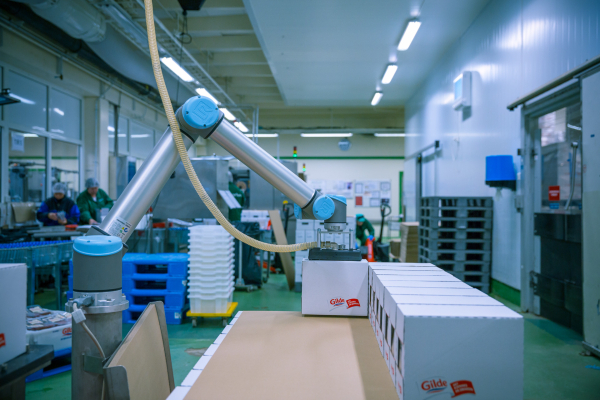 APFI’s Writer, Katherine So, explores the benefits of integrating cobots into an F&B manufacturing facility. Cobots, also known as collaborative robots, are making their way into the food and beverage (F&B) industry. As the name suggests, this new generation of robots are made to interact and work collaboratively alongside humans. 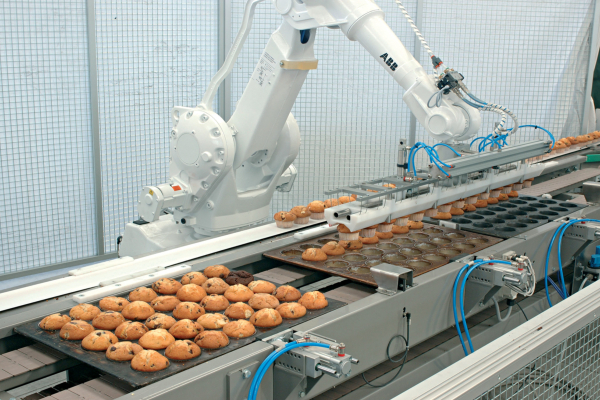 Despite the numerous benefits touted by cobots, manufacturers in the F&B industry often hesitate to automate their production line due to the misconception that robots are applicable to large scale operations only and would require significant capital investments. Cobots are easy to operate and user-friendly. 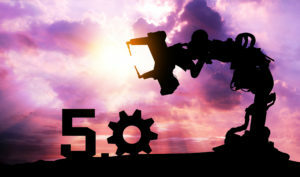 Setting up and programming of the system is fast, taking an average of only half a day (Universal Robots). With up to seven axes, these robots offer great precision and dexterity, moving loads up to 15 kg (Packaging Europe). Some functions of cobots include pick and placing objects or follow-the-line applications where they follow a pre-programmed path of motion like decorating cakes (Packaging Europe). While humans are still needed to carry out tasks which require decision making or judgement, cobots can free humans from the more mundane, dangerous or repetitive tasks. Hence, human employees would be able to work on higher level responsibilities and develop greater skillsets (Forbes). Cobot producer, Universal Robots, highlights a case study from Swedish manufacturer, Orkla Foods. The company successfully integrated cobots into their vanilla cream packing manufacturing line, relieving employees from this labour-intensive task. Before cobots were introduced, vanilla cream was bagged and packed manually into cartons. This investment in automation allows the workforce to sharpen their skillset and learn how to operate the cobots, instead of performing the tasks manually. Human idle time can be lowered by 85 percent through working with robots (Kundinger, 2017). Robots are unaffected by strenuous activity and can work overtime with minimal supervision. Tasks that were manually handled previously can be accomplished quickly and accurately with the help of cobots, saving time and increasing efficiency. Furthermore, automating the production line increases the rate of output and reduces labour cost, thereby increasing profits and returns of investments (ROI). In the case of Orkla Foods, the payback time or the time needed to recover the amount invested in cobots, was only 6 months (Universal Robots). 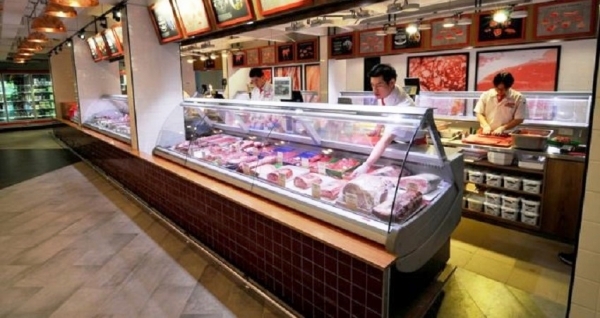 Achieving manufacturing flexibility is especially important in the F&B industry, given the increasing demand for personalised products globally. 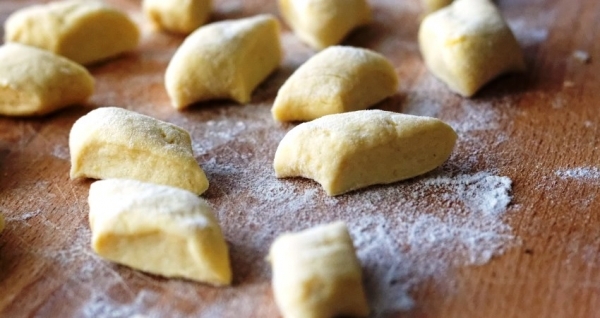 Production lines need to respond to the increase in personalisation of products and constantly changing consumer trends in this industry (Food Manufacture, 2018). Manufacturing flexibility is improved with the use of cobots as they can be easily reprogrammed and redeployed to serve multiple functions. The ability to adapt to various tasks increases variation output, minimises wastage of resources and lowers production costs. 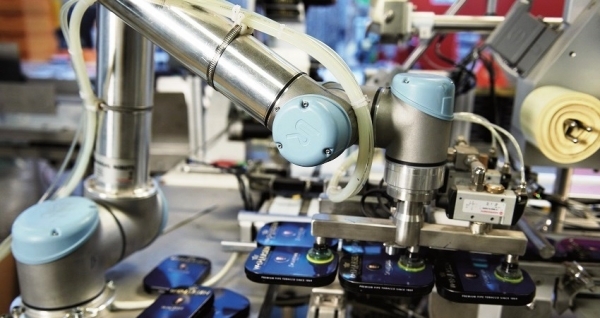 Cobots deployed by Orkla Foods were easy to programme and could perform different tasks within a network of other machines, therefore increasing flexibility of the manufacturing line. Multiple safety features have been put in place so that cobots can operate next to humans. Cobots are equipped with sensors that detect obstacles and prevents collisions. For example, a safety monitor reduces its speed of motion until coming to an eventual stop if it senses the presence of a human within its working zone. Hence, cobots can be truly integrated with the human workforce in production lines to not only duplicate human functions but to add value to operations as well. 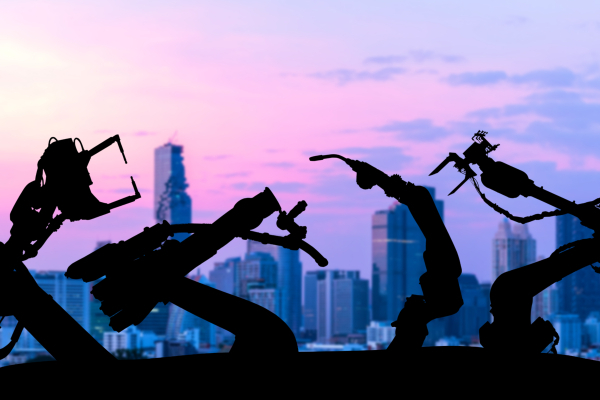 Furthermore, since dangerous and complex tasks are handled by cobots, safety hazards or risks are reduced which creates a safer workplace environment. Thanks to advancements in sensor and vision technology, it is now possible for robots to operate safely beside humans without the need of a physical barrier. Not only do they benefit the company by reducing production cost and increasing flexibility, productivity and morale of employees are also improved. Staying competitive and relevant would be necessary to remain in this fast moving and volatile industry. As the F&B industry is taking steps towards increased automation, cobots could be the key and future of food manufacturing.